The U.S. House of Representatives passed an amendment Wednesday to prevent the federal government from penalizing financial institutions that do businesses with the marijuana industry. The Senate must now pass similar legislation for the amendment to become law, which could represent a significant hurdle. But industry leaders and advocates were quick to hail the House vote as a huge victory regardless, saying it signals growing support among federal lawmakers for the cannabis industry. The amendment – which had bipartisan support – passed by a vote of 231 to 192. The House also backed the marijuana industry in another way on Wednesday, rejecting an attempt to block the implementation of key banking guidance issued earlier this year by the U.S. Justice and Treasury Departments. 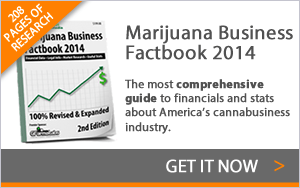 The guidance provides financial institutions with a framework for doing business with cannabis companies. While the guidance hasn’t eased the banking situation for the marijuana industry yet, it is seen as a significant step in the right direction. Wednesday’s developments mark another major marijuana victory within Congress this year. In May, the House passed an amendment prohibiting the Drug Enforcement Administration from using funding to target marijuana operations in states where the plant is legal. That bill is now languishing in the Senate, though. This could be huge. Many dispensaries are finding it harder and harder to put their cash somewhere.